Inverness Caledonian Thistle have signed striker Alex Fisher in time for Saturday's Scottish Cup visit to Stirling Albion. The 25-year-old, released by Torquay before Christmas, has agreed a deal until the end of the season, with the option of another year. The 6ft 3in forward scored five goals in 21 appearances for the Conference side before his departure. The Highland club tweeted: "Delighted to welcome Alex Fisher to #ICTFC." The signing follows news that top-scorer Miles Storey has extended his loan from Swindon until the end of the campaign, while Tobi Sho-Silva has returned to Charlton. 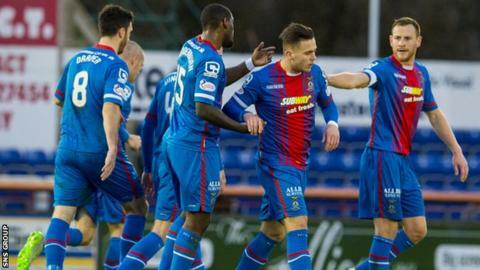 Inverness CT, who sit sixth in the Premiership, are the Scottish Cup holders and begin their defence of the trophy at Forthbank, with Stirling Albion mid-table in League Two.